Supports DisplayPort displays up to 3840x2160@30Hz and 3440x1440@50Hz. 2560x1600, 2560x1440, 1080P and lower refresh at 60Hz. Supports Windows 10/8.1/7. Surface RT, Mac OS X, and Linux/Unix are not supported. We love our Plugable products and hope you will too. All of our products are backed with a 1-year limited parts and labor warranty and Seattle-based email support. Featuring the DisplayLink DL-5500 USB 3.0 graphics chipset, the Plugable UGA-4KDP display adapter enables a USB to DisplayPort connection to multiple monitors with any laptop or desktop with an available USB 3.0 port. One adapter is required per monitor, multiple adapters supported on each PC. Multitask with a dedicated monitor for each document or application with screen resolutions up to 3840x2160@30Hz refresh rate. USB graphics adapters work by utilizing your computer's CPU and GPU, and then compressing and transmitting the output via USB. Intel Core i5 or AMD Llano 2GHz or better CPU, 4GB+ RAM, and USB 3.0 connection recommended for productivity/web software at 4K. Single Intel HD 4000, AMD HD 7xxx, Nvidia 5xxM or better recommended for productivity and web software. Intel Core i7/AMD A10 2GHz+, 8GB RAM, and Intel HD 4000, AMD 8650, Nvidia 7xxM or better required for full-screen video playback. Full motion video playback, especially at modes at or above 1080P requires a powerful USB 3.0-enabled system and video playback software that supports GPU-acceleration, as well as a compatible primary graphics card and drivers. Supports monitors/projectors and PC-compatible TVs up to 3840x2160@30Hz refresh rate. Requires Intel / AMD / Nvidia main GPU and up-to-date WDDM-compliant drivers for best perfromance and compatibility. Current USB drivers are suggested for best perfromance and compatibility. Suggested for use with web/productivity software; not recommended for gaming. Mac OS X, Linux/Unix not supported. Does not support conversion to dual-link DVI. 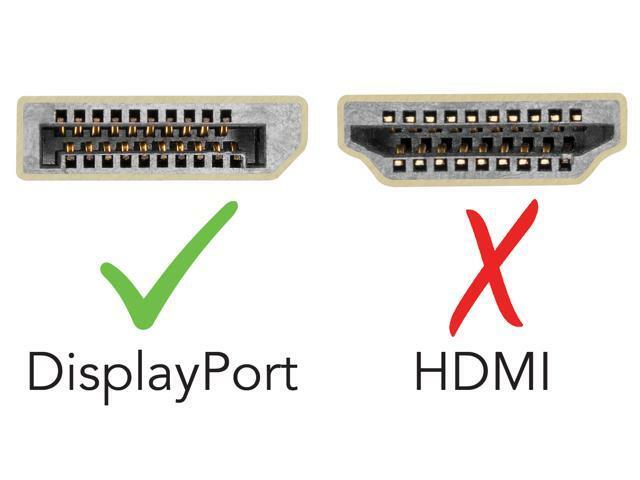 If converting to HDMI, a 4K-compatible "active" adapter such as the Plugable DP-HDMI adapter must be used. Passive adapters and (even some active adapters) will limit output to 1920x1080. DisplayPort MST daisy-chaining not supported. Does not support HDCP, and will not allow for playback of encrypted Bluray disks or copy-protected content. Included in the box is one USB 3.0 UGA-4KDP graphics adapter with robust, built-in USB 3.0 cable, a driver CD and a quick install guide. This item is covered by Plugable Technologies Return Policy.